Kyankwanzi District is the northernmost district in the Central Region of Uganda and Buganda Kingdom, bordering Bunyoro. The district headquarters are in Butemba Town. The Kyankwanzi District borders with the Nakaseke District to the east across the Mayanja River, Kiboga District to the south-east, Mubende and Kibaale Districts to the south-west across the Lugogo River, and Hoima and Masindi Districts to the north across the River Kafu. The district headquarters in Butemba Town on the Bukwiri-Kyankwanzi Road are approximately 160 kilometres (99 mi) by road from Kampala, the nation's capital. The coordinates of the district headquarters are 1.143N, 31.602E. The district area is full of lush green forests and prairies with minor elevation differences as it is the plateau behind the western fork of the East African Rift running across the Hoima District. The altitude is roughly 1,000–1,200 metres above sea level. 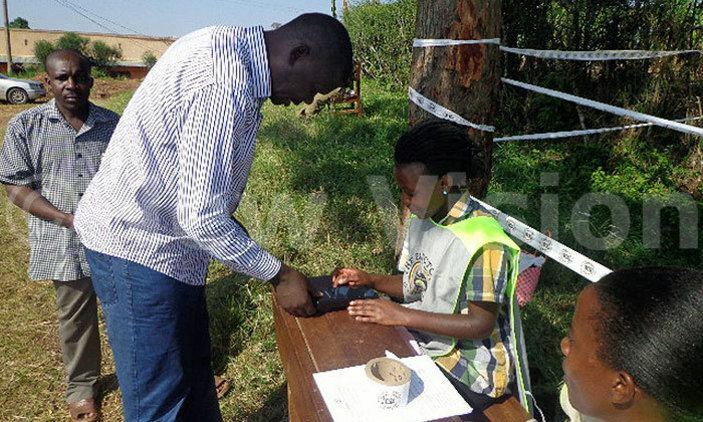 Kyankwanzi District was carved out of Kiboga District by the act of Parliament in July 2010, with eight sub-counties in Kiboga North County. Prior to the creation, district services operated from Kiboga Town, approximately 35 kilometres (22 mi) from Butemba. Further back in the past, Kyankwanzi District was in the Mubende region. The reasons given for forming the district, included the long distances that residents had to travel to access district services at Kiboga. The district name derives from Kyankwanzi Town, 20 km farther away from Kampala-Hoima Road, as the region is historically associated with the National Resistance Movement (NRM), which started the Ugandan Bush War of 1981-86 from cattle-herding Kyankwanzi under the direction of President Museveni. 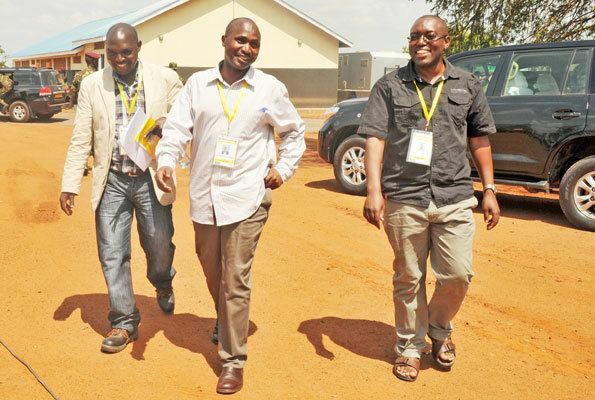 Up to this day, Kyankwanzi serves as the strong foothold of the NRM and hosts the National Leadership Institute in Kyankwanzi Town that provides training to all serving military troops and public servants of Uganda. Meanwhile, Butemba was chosen as the district seat for accessibility and land availability reasons. The district has only one county, Kiboga West County. Culturally, Kyankwanzi is the northwestern frontier of the Buganda Kingdom, overseen from the Ssingo county seat of Mityana. Once belonging to Bunyoro, as Rugonjwa Sub-county, Nsambya Sub-county in the northwest was won by the Buganda Kingdom in the battles in the 1890s under Kabaka Mwanga II's rule. In 1991, the national population census estimated the district population at 43,500. The next national census in 2002 estimated the population at 120,600. In 2012, the population was estimated at 182,900. In 2009, Kyankwanzi Sub-county, then under the Kiboga District, was recorded as the poorest administrative area in the Central Region, with 38 percent of the population living on less than US$1.00 a day. Kiboga and Kyankwanzi are popular destinations for rural-to-rural migration in Uganda. The government publicly announced in the 1990s the vast land resources to attract farmers from around the country. 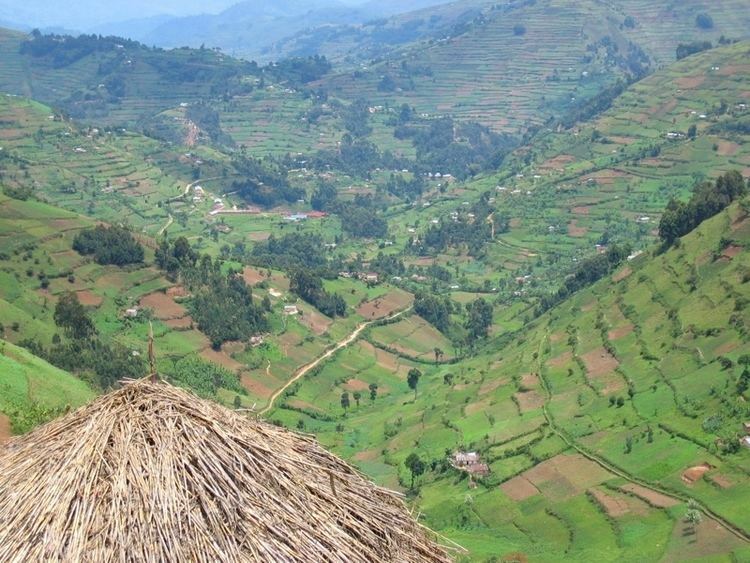 It is now inhabited by the Soga and Masaba peoples in the east, and the Kiga and Fumbira peoples from Kigezi in the southwest, as well as indigenous Baganda, Banyoro, and the cattle-keeping Ankole people/Rwandans with a hint of Congolese refugees. Almost all residents are at least bilingual. Crop husbandry, livestock keeping, logging/charcoal-making are the three major economic activities in the district. Because the Kyankwanzi District is located along the cattle corridor that crosses the country from south-west to north-east, many residents are of Banyankole/Banyarwanda origin who pasture Ankole cattle in the vast woodland. Cattle-keeping is mostly concentrated on Kapeke, Kyankwanzi, Nsambya Sub-county areas. In these areas, weekly or bi-monthly cattle markets are set up in major trading centres. Utilizing the rich nature, Kyankwanzi is also known as a producer of forest products, namely, timber and charcoal, both of which are the country's tax revenue sources. The German company Global Woods AG has obtained a 50-year tree farming licence from the National Forestry Authority for an area of 12,186 hectares on Ugandan state land in the Kikonda Forest Reserve. Global Woods plans to plant monocultures mainly of pine (Pinus caribaea, Pinus oocarpa) and eucalyptus (Eucalyptus grandis) trees on 8,000 hectares for later logging and to reserve the rest "for conservation". Local farmers were driven from the land, ending the traditional practice of grazing cattle in the woods and making charcoal for cooking and the market. Global Woods sells carbon credits, which allow the purchaser to emit more greenhouse gases than the limit agreed in the Kyoto Protocol and later international climate conferences. Carbon certificates are also the subject of a speculative financial market. Public transport to Kyankwanzi District is chiefly supported by long-distance bus services that connect Kampala with the Bunyoro capital of Hoima. Taxis, both in wagons and sedans, connect major trading centres such as Bukwiri, Ntwetwe, Kyenda, Ntunda, and Kikonda with Kiboga Town. Kyankwanzi Town is served by taxis from Bukwiri and Bukomero, beside the training participants at the National Leadership Institute who have direct shuttle services from Kampala.